Great News! We’ve recently launched a new Third-party Add-ons directory on our website. So now Event Espresso 4 customers can explore an ever growing selection of plugins, and themes from third-party developers. 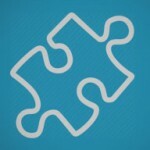 Be sure to check out the new Third-party Add-ons directory! 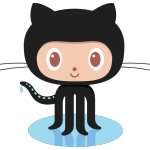 If you’re a developer, the EE4 Github repo is now public, be sure to submit your add-ons. As we were building out the Event Espresso 4 core event ticketing and registration framework for WordPress, we took extra time to make sure it was as extendable, and scalable as possible. With many hours of very careful planning, and development, we were able to build in hundreds of action hooks, and filters throughout the core Event Espresso 4 codebase. Therefore exposing an enormous amount of data, and WordPress accessible endpoints throughout the EE4 framework. Leaving Event Espresso 4 wide open for developers to build great new extensions, and features on top of. Well, as time progressed, we started seeing more and more developers getting involved, and asking about promoting their theme’s, and/or plugins somewhere on the Event Espresso website. However, we didn’t really have a place for developers to promote their new extensions. So, I went ahead and built a small directory for third-party developer’s to promote their add-ons. The add-on directory has actually been available for a while, but I got busy with WordPress security updates, testing and documenting new features (Multiple Event Registration and Promotions), and never got around to telling anyone about it, until now. What add-ons are we launching with? So far I’ve added three popular themes, two gateways, and a plugin integration. Also, it’s TOO EARLY to promise anything right now, but it sounds like there might be an integration with a popular affiliate plugin, and maybe even a redesigned calendar widget. So be sure to keep your eyes peeled for new stuff from other third-party developers. In other news, we’ve recently opened up our Event Espresso 4 Github repository to the general public. Since then we’ve seen an influx of new developers, who are starting to build exciting new integrations for Event Espresso 4. Any developer with an account on Github.com can now download and install the EE4 Core Plugin on their development sites, without having to purchase a support license. This means that WordPress plugin and theme developers can now build add-ons for EE4 much faster than ever before. Say what!?!? Did you hear the great news above, about our Github repository going public? And now you want to know how to get started developing add-ons for Event Espresso 4, right? Start learning about developing for Event Espresso on our Developer Resources page, right away! Submitting a new add-on to our repository is easy, and will help your add-on get noticed by thousands of Event Espresso customers. Just fill out the form at the bottom of the Third-party Add-ons page to get started. Have an idea for an add-on? If you have an idea for a new feature/plugin/theme, or are currently developing an add-on to integrate with Event Espresso 4, please be sure to post about it in the comments below, or use the Github Issue Tracker to let us know. We are look forward to seeing what you will come up with next!